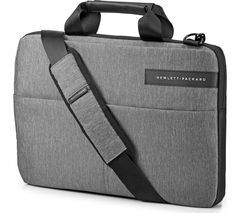 Carrying your laptop with you when you’re out and about can increase the chances of it getting damaged along the way so it makes sense to protect it as you travel with a bag, case or sleeve. 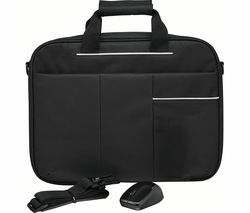 A laptop case is a great way to protect your computer from scratches and knocks wherever you’re taking it and most bags will often give you additional storage space for your laptop accessories and peripherals to help keep everything safe. Laptop bags come in all shapes and sizes, so no matter how big or small your device is, there will be a bag that’s perfect. Our range of laptop bags not only look great, but they also make the commute with your laptop easier and some can even protect it from the weather. As well as laptop carry cases, we also have a selection of laptop sleeves for a lightweight solution that you can use to protect your laptop when it’s not in use, or to transport it inside another bag. Whether you’re looking to protect your laptop on the way to work, or you want an easier way to transport your laptop when you’re away from home, we’ll have something to keep your laptop protected while you’re on the move.